The job market today is very different from twenty or thirty years ago. The rise of technology has seen smartphones and social media come to the forefront, with global audiences now a potential target. There’s the increase of automation and artificial intelligence, not to mention the advancement of the gig economy. With all that’s changing in today’s labour market, here are six trends to watch. There’s no denying that artificial intelligence is here, and it’s here to stay. The question still to be answered, is exactly what role will AI have in the workplace. While some feel AI is a threat to many existing jobs, others believe AI will simply complement and improve workloads – helping us to work faster and smarter, not harder. Finance is one of the industries that’s expected to be impacted the most by AI technology, so it’s worth keeping a finger on the pulse as the story continues to unfold. As we enter a more connected world, the use of data becomes more and more significant. In recent times, the laws and regulations surrounding data have been under scrutiny, with many businesses now required to operate with more visibility when it comes to data use. In the same token, with a greater understanding of the data that is at our fingertips, more and more businesses will be able to revolutionise their marketing, product and advertising methods. Watch this space. As the world changes, so does the workplace. Thanks to technology, we are now more connected than ever across the world. With more people working across different time zones, it’s no wonder workplaces are being forced to be more flexible. 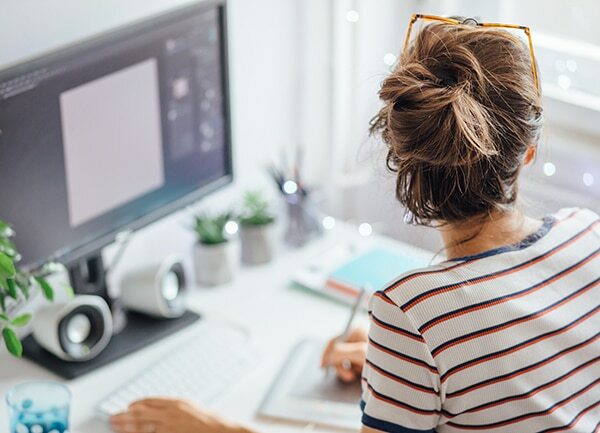 With more mothers returning to work and more contractors, freelancers and part-time workers being hired, it makes sense that traditional workplaces are offering more flexible working conditions. The option to work from home and enjoy flexible work hours is no longer a perk, its essential. The job application process is not what it used to be. The internet has changed the way job-seekers find opportunities and the way businesses hire candidates. With the introduction of LinkedIn and job-seeking apps, candidates are more active than ever. More and more businesses are also leaning towards more informal introductions, rather than rigid and time-consuming procedures, plus there’s greater transparency throughout the interview and application process. In years gone by, people were much more likely to pick a career and stick to it – most likely until retirement. However, with so much more knowledge and opportunity at our fingertips, many people are now enjoying multiple careers throughout their lifetime. With flexible study options, mature-age students are no longer an anomaly, and many are taking the opportunity to work and study at the same time. Thanks to the gig economy, the rise of ecommerce and the ability to monetise social media, many people are no longer restricted to just one source of income. Side hustle are here and they’re here to stay. It is not uncommon for full time workers to run their own businesses on the side, whether it’s Uber driving on the weekend or blogging on the side. If this trend continues to grow, having more than one job may be commonplace.